Orthopaedic Surgery requires serious advance preparation due to its complexity and the amount of complications that are often entailed pre or post -surgery. This particular type of surgery can be life-changing, however without it, you could experience an increasing amount of pain, which can ultimately affect your on-going health and well-being. Here at the Gastric Mind Band Elite Clinic, our Permanent Weight Loss Treatment is a tried and tested method within the wellbeing industry, combining a variety of Cognitive Behaviour and Hypnotherapy techniques which help individuals reach a state of total relaxation, transforming behaviours, emotions and habits in all areas to reduce your BMI. With the Elite Clinics Gastric Mind Band Treatment, your state of mind around food and eating will dramatically change and once you experience weight loss before surgery, your entire mind-set will shift, ensuring you don’t go back to abusing and mis-treating your body. Weight loss will not only improve your self-confidence, but also transform your quality of life, allowing you to progress and develop healthier traits and customs into your everyday lifestyle. Why you should lose weight ahead of your Orthopaedic Surgery? Orthopaedic surgery specialises in the diagnosis and treatment of the musculoskeletal system and covers all injuries located in the ligaments, bones, joints, muscles, nerves and tendons. However, with many of these compound procedures, surgeons will ask the patient to reduce their BMI ahead of surgery in order to avoid any risks that can be detrimental to the individual’s health, as well as making the healing process faster and more manageable. Gastric Band surgeries are gradually becoming less desirable; costing the NHS up to £9,000 these invasive surgeries are extremely expensive and have a direct impact on NHS funding. In addition, surgeons now prefer to perform non-invasive treatments on patients if surgery can be avoided. An example of this includes CBT and hypnotherapy, which reduces the serious and often fatal dangers that are associated with intricate procedures. That is why many medical experts will recommend the service of Gastric Mind Band, as it allows you to efficiently lose weight before going ahead with your orthopaedic surgery. It is imperative to reduce your BMI in order to fulfil the requirements needed to go ahead with most orthopaedic surgeries. Being obese whilst being operated on can increase the risk of serious complications occurring to the patient, damaging their overall health and wellbeing. There is a heightened uncertainty and threat to the patient if overweight, which is why medical professionals refuse to undergo surgery unless their eating patterns and activity levels change. However, there is a simpler way to scale down, such as the Gastric Mind Band, as this procedure offers a solution for every obesity obstacle. A variety of clients visit our Elite Clinic in Spain either to lose weight ahead of surgery, reducing many risks and greatly improving their recovery. Also a separate group of patients arrive at the clinic to ensure that post-surgery they do not experience weight gain placing additional strain on their new joints. For people who have an unhealthy and delicate relationship with food, the process of losing weight can be the ultimate incentive, especially for individuals who require invasive surgery. With hypnosis, it is a well-known fact that it is one of the healthiest and least problematic, due to the non-invasive techniques that we incorporate in our treatment here at the Gastric Mind Band Clinic. 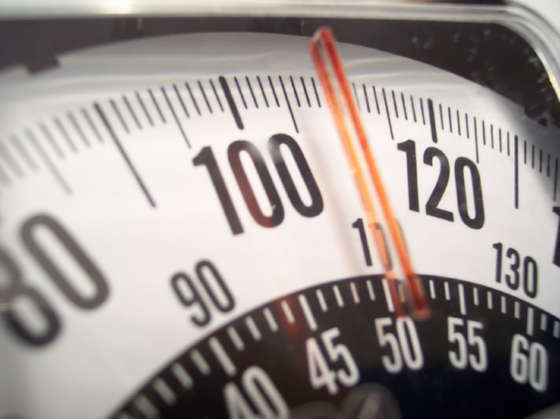 Hypnotherapy increases focus and attention, and makes you more responsive and receptive to suggestions, including behavioural changes that can help you manage your weight. Over the course of our 3-4-day treatment, Cognitive Behaviour Therapy will be the core focus within each session at our Clinic in Spain. CBT involves the combination of assessing your negative lifestyle patterns, discovering the cause of your weight gain and demonstrating the connection between impulsive thoughts and the vicious cycle that is caused by these conflicting psychological forces. The main objective of Cognitive Behaviour Therapy is to help clients deal with overpowering struggles caused by the unconscious mind; these difficulties could be the underlying source to your weight loss troubles. What to expect from the Gastric Mind Band Elite Clinic? As a psychological approach, the Gastric Mind Band Clinic utilises a combination of cognitive behavioural therapy and clinical hypnotherapy, ensuring weight loss before your Orthopaedic Surgery. The purpose of our pre-surgery hypnosis permanent weight loss is to create new behavioural patterns and to transform bad eating habits into a new and improved lifestyle. Our services reduce chances of reverting back to old eating habits and regaining the weight you have lost, we encourage our clients to eat when they’re hungry instead of for boredom or thirst purposes; many people go wrong with believing that they are ‘starving’, when really all they may simply need is a glass of water. As a highly recommended, totally non-invasive weight loss treatment, our personalised one to one therapy sessions are suitably modified to complement the requirements of every client. Our imaginary gastric mind band cooperates with trusted medical experts, and allows customers to steadily reduce the required weight before entering surgery. It has even proved to be more effective than crash diets, challenging exercise regimes and intrusive weight loss surgeries, which all can result in further implications for individuals trying to improve their wellbeing.